These delicious chocolate peanut butter puffed quinoa bars are so easy to make and are perfect for on-the-go snacks! 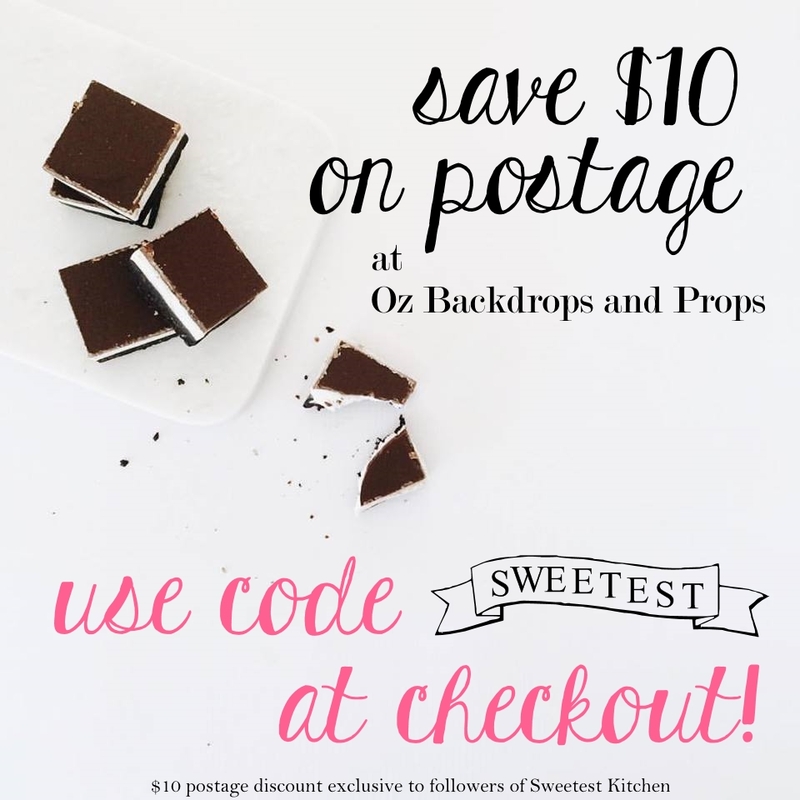 There is an obvious recurring theme to all my recent posts – CHOCOLATE! I didn’t realize until I had a quick browse through my blog recently, but what can I say? I love chocolate! Recent posts haven’t been very healthy, though, and I know health food is the new craze (what is wrong with you people!? 🙂 ). 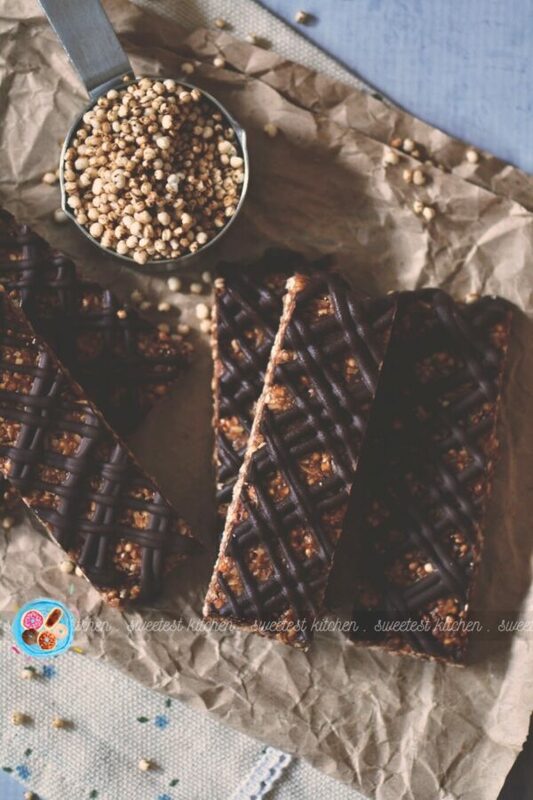 So, today I’m going to share this easy recipe for semi-healthy chocolate peanut butter puffed quinoa bars! I know that if you love chocolate and peanut butter, you’re going to love these puffed quinoa bars. And don’t worry, there is not a strong nutty quinoa taste (something I never liked about quinoa, admittedly) from the puffed quinoa. The puffed quinoa is found at health food stores, and this is going to be lightly toasted in the oven, which helps add a little bit of crunch and brings out a slight bit of that nutty flavor. The other ingredients in these bars are things you’d normally have on hand – dark chocolate, peanut butter, honey, sesame seeds, rolled oats and shredded coconut. I made this recipe a few weeks ago, but I followed the original instructions, which said to roll the mixture into balls. They were yummy, but a bit dry and hard to bite into. So, I’ve made a few amendments (I basically just increased the amount of wet ingredients) and decided to make bars instead, complete with a classic dark chocolate drizzle! The result was perfectly delicious! The bars are soft and easy to bite into, and that extra bit of chocolate on top really brought this recipe from a “meh” to a “WOW!” They are amazing; they taste kind of like a crunchy chocolate peanut butter cup! Perfect for an on-the-go snack, or for the kids after school, you can rest easy knowing that these are *kind of* healthy! Enjoy! Preheat oven to 180C (160C fan forced). Line an 8x8-inch (20x20cm) baking pan with baking paper, leaving some of the baking paper to hang over the sides. Set aside. Place puffed quinoa in a single layer on a large baking tray. Roast for 4 minutes, or until light golden and toasted. Place oats and chocolate in a food processor and process until finely chopped. Transfer to a large mixing bowl. Add the puffed quinoa, coconut and sesame seeds. Place peanut butter and honey in a small saucepan over a low heat. Warm gently, and stir until well combined; do not let it come to a boil. Remove from the heat and stir in vanilla extract. Working quickly, add the honey mixture to the dry ingredients and mix until well combined. Transfer the mixture to the prepared baking pan and press firmly - I placed another piece of baking paper on top of the mixture and pressed down with a smaller baking tin so I got it nice and tightly packed in. Place in the refrigerator for about 30 minutes, or the freezer for about 15 minutes, to cool down and firm slightly. Meanwhile, melt the 150g dark chocolate and transfer to a piping bag (or a ziploc bag). Remove from the freezer and lift the bars out of the baking pan; place on another baking tray (will make it easier to move later). Cut a smallish snip off the bottom of the piping bag (or a smallish corner from the ziploc bag) and pipe the chocolate over the bars in a zig zag motion. Chill in the refrigerator or freezer until the chocolate is set. Cut into bars with a sharp knife. Store in the refrigerator up to 5 days. * If you can't find, or don't want to use, puffed quinoa, another other puffed grain will do. You can even use Rice Krispies, if you prefer! Thank you for posting the recipe. I’ve been looking for something new to try out and this will definitely be it. Looks delicious! LOVE THIS! So simple and perfect snack, Thanks for sharing such easy and tasty recipe. Love this recipes, it’s really simple and easy as well. I’m gonna try this today. I have one question can we use milk chocolate instead of Dark chocolate?